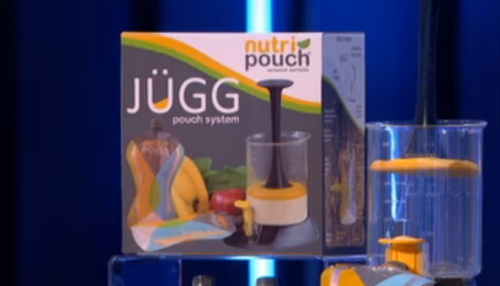 Single mum Rifat Jan showcased her Nutripouch for storing and carrying juice and smoothies on Buy It Now with Brian Conley. The Nutripouch Jugg system enables you to make smoothies, juices, protein shakes or energy drinks and fill a flexible, reusable, pocket-sized pouch. Nutripouch Drinks Storage System – Enjoy Blended Juices, Home Made Shakes and Smoothies On the Go – Ideal Nutribullet Accessory (Value Pack with 2 x 250ml Reusable Pouches) is available at Amazon now.